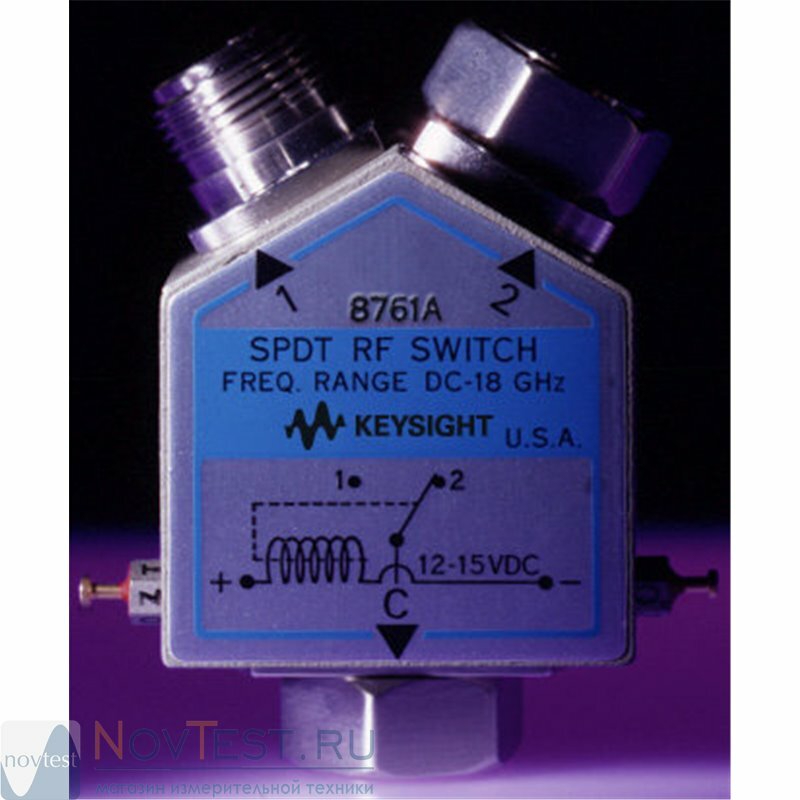 The Keysight 8761A is a single-pole, double-throw coaxial switch with excellent electrical and mechanical characteristics for 50 ohm transmission systems operating from dc to 18 GHz. It features broadband operation, long life, low SWR, excellent repeatability, and magnetic latching solenoids. The Keysight 8761A switch is small and lightweight, making it ideal for applications where space is limited. Because of its versatility and excellent electrical performance, it is well suited for automated testing and systems applications.